Easily access your frequently used text clips. Is there a better alternative to ClipAssist? Is ClipAssist really the best app in Word Processing category? Will ClipAssist work good on macOS 10.13.4? Do you type them every time? Do you search for a document or old email and copy and paste from there? I tried clipboard history applications and multi-clip applications but found that these didn't do exactly what I wanted. 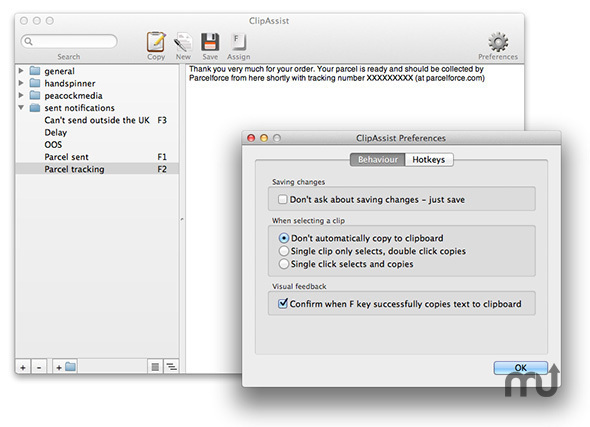 Improvement to clipboard sharing (copy on one Mac, paste on another). First time communicating with another computer, you may have to 'discover' the computer in Finder (no need to sign in, just click its name in Finder). After that, other computers will be remembered, so this browsing will not be necessary again. ClipAssist will sit in the background and give you quick access to those clips, in unstyled text, so that you can paste them anywhere with the minimum fuss. 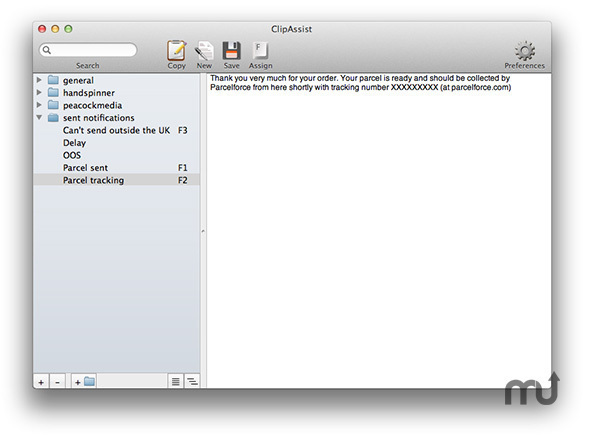 And with version 4, ClipAssist provides sharing features. Copy on one Mac, paste on another. Just install the app on each Mac, and switch on "send" and/or "receive" as appropriate. That's it!